A wickedly funny, feminist revenge fantasy novel of one fat woman's fight against sexism and the beauty industry. Dietland will be adapted into AMC's 10-episode straight-to-series starring Julianna Margulies and Joy Nash. Plum Kettle does her best not to be noticed, because when you're fat, to be noticed is to be judged. Or mocked. Or worse. But when a mysterious woman starts following her, Plum finds herself involved with an underground community of women who live life on their own terms. At the same time, a dangerous guerrilla group called "Jennifer" begins to terrorize a world that mistreats women. As Plum grapples with her personal struggles, she becomes entangled in a sinister plot, the consequences of which are explosive. 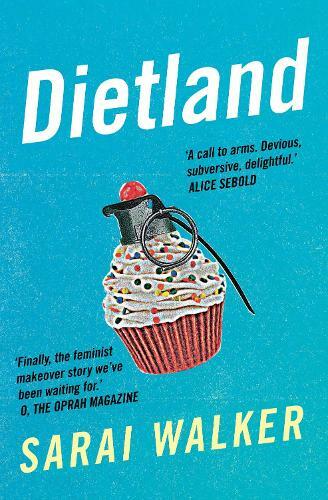 Part coming-of-age story, part revenge fantasy, Dietland is a bold, original and funny debut that takes on the beauty industry, gender equality and our weight loss obsession - from the inside out, and with fists flying. Firstly I cannot believe there are no reviews for this book! I absolutely loved it!